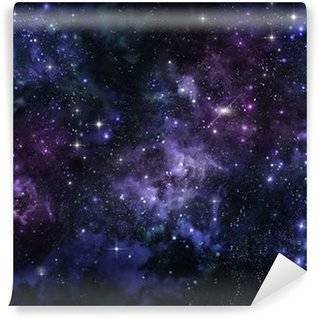 Vinyl Wall Mural Colorful Space Galaxy Background with Light, Shining Stars and Nebula. Vector Illustration for artwork, party flyers, posters, banners. 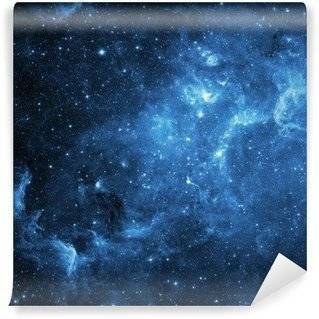 Vinyl Wall Mural Starry night sky seamless vector pattern. Space and stars night background. Space is a perfect material for 3D wall murals. 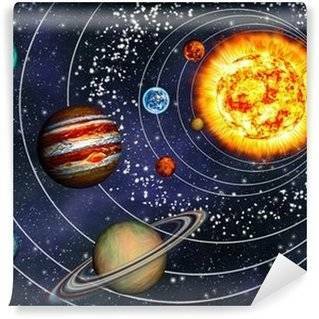 Wall murals illustrating planets, rockets or speeding comets will make your room look the way it never did before. Their advantages are mainly used in small and confined spaces, which we would like to visually enlarge. Decorations referring to the resources of the universe will create an illusion of space, and you will move to a completely different dimension. 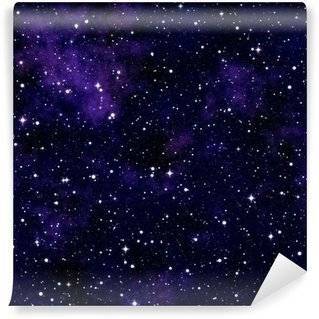 Vinyl Wall Mural Space background with stars and patches of light. Abstract astronomical galaxie illustration. Your room lacks panache and you have no ideas for sparking a new life in the interior? Let your choice fall on a theme with a cosmic view, and you're done with the monotony in the house once and for all. Nobody likes boring solutions. Panorama of the Earth is a great start. However, if the Earth is too common for you, and you’re more interested in you vastness and beauty of the cosmos, then bet on the phenomenal rings of Saturn, Red Planet or the fiery sun, which until now seemed to only be an innocent glowing orb in the sky. Who, in turn, likes the dark, void side of the universe, will without a doubt prefer a colorful nebula, the Milky Way or the Black Hole. Such images are sure to create a mysterious, intriguing atmosphere in your interiors. Choose your pattern from a million of options. Themes with cosmos create unlimited possibilities. On them, we can find beautiful constellations, satellites or the starry sky which will inspire everyone. You can also use them in the baby's room, where they will serve the educational function while being a funny background, perfect for child’s play, at the same time. It’s a great material for decorating just about any room, and also works in any style. All there is left for you to do is enjoy the final effect of incorporating a theme of space in your interior. We should always set the bar as high as we can, climb up and try to reach for the stars. Cosmic patterns will awaken new energy in you and encourage you to think outside the box. Use them for decorating your house and find yourself a few hundred meters above the Earth right now! 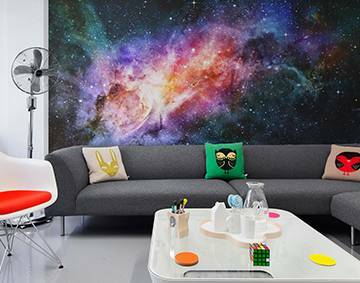 Wall murals depicting space are an interesting piece of decoration. The universe itself appears as yet not fully explored puzzle. That’s why, with a cosmos wall mural, your room will gain a mysterious atmosphere, which - though desirable - is not always easy to achieve. People want to have such a view in front of their eyes, and increasingly more options for achieving it can be found!